Meg's Food! 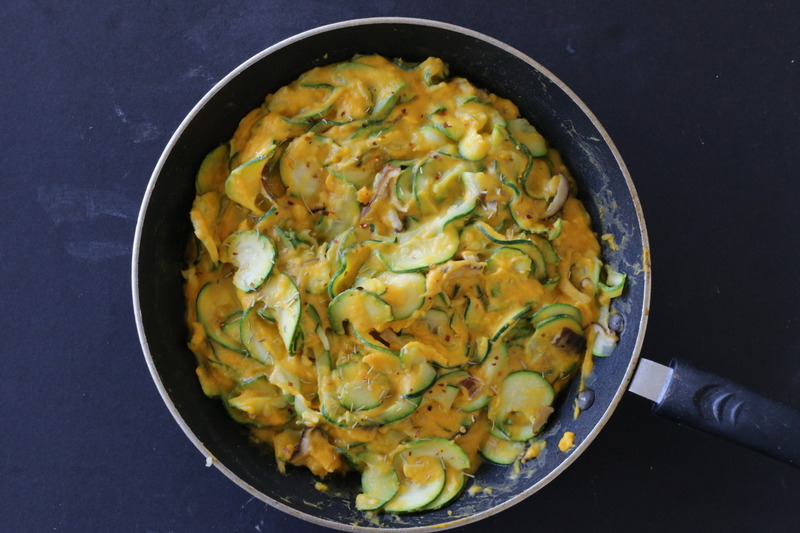 | Zucchini Fettuccine with Butternut Sauce - Meg's Food! I’m not really a pasta person. I know, I know, pasta is one of those things everyone loves. And I’m not saying all pasta dishes are bad – I’ve had some amazing pasta in my time – but as a vegetarian I find pasta is all too often my only option. So I tend not to make a lot of pasta at home. Vegetable noodles, however, are a totally different story. 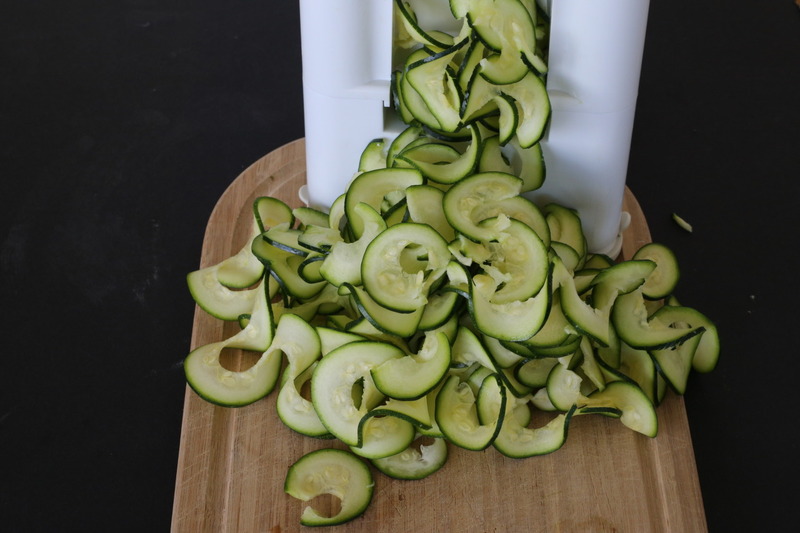 My spiralizer is one of my favourite kitchen appliances. 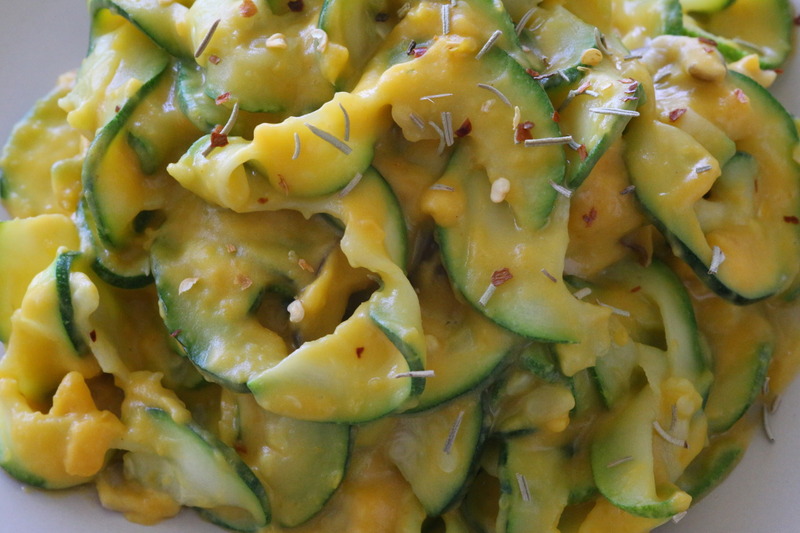 It lets you easily turn zucchini, sweet potatoes, or carrots into noodles that add colour, flavour, and lots of vitamins to your favourite pasta dishes. Usually I make spaghetti noodles but for this dish, I used the single blade to spiralize zucchini into fettuccine. It’s so fun. This dish is pretty to-die-for. 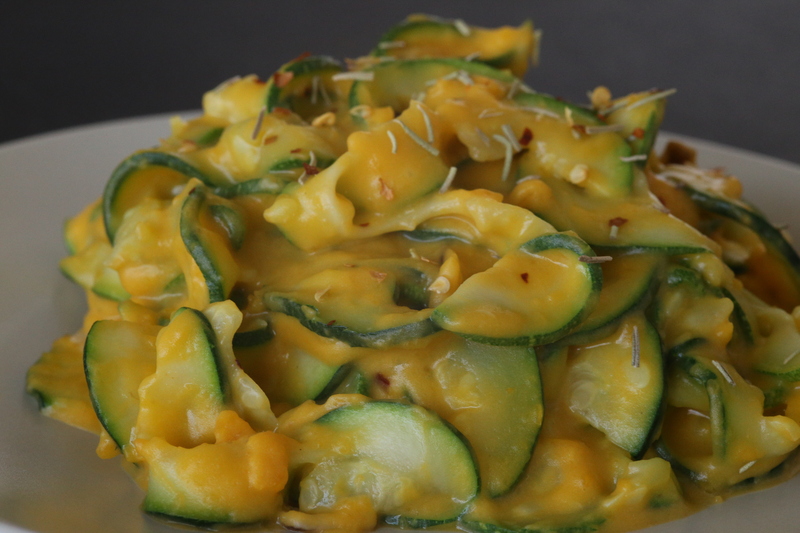 Crunchy, bright zucchini fettuccine is topped with a creamy, dreamy butternut squash sauce. 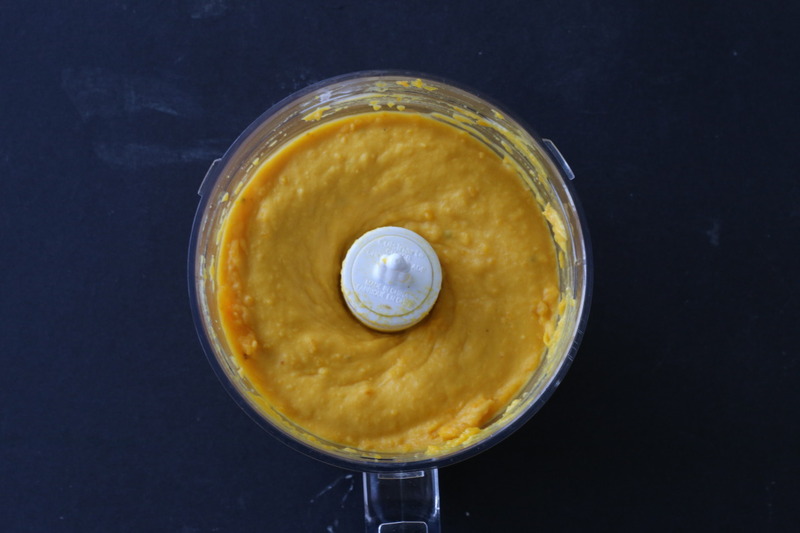 The sauce is super easy – just roasted butternut squash, some coconut milk, and a few spices – and makes a creamy sauce that tastes like it should be bad for you, but it’s not. I added woodsy shiitake mushrooms because they really lend themselves to fall dishes. It all comes together in a gorgeous, vegan ‘pasta’ dish. First, roast your squash. Preheat oven to 375, line a baking sheet with parchment paper, and toss squash cubes in 1 tbsp olive oil. Season with salt and pepper and roast until tender, about 40-45 minutes, tossing halfway through. Transfer squash cubes to a food processor and add coconut milk. Blend until creamy. In a saucepan, heat remaining 1 tbsp olive oil over medium heat. Add garlic and cook 1-2 minutes. Add shiitake mushrooms and cook, stirring, another 2-3 minutes. Season with rosemary and red pepper flakes. Add spiralized zucchini and cook 3-4 minutes, until zucchini is slightly tender. Pour in butternut sauce (save a cup if you want to make something else with it, like grilled cheese!). Toss to combine and cook until sauce is warm. Instead of fatty, carb-filled pasta and cream sauce, you have vegetable noodles with a healthy, vegan, creamy sauce. It’s magic on a plate. This entry was posted in Dinner, Lunch, Recipes and tagged gluten free, spiralizer, squash, vegan, vegetable noodles, zucchini. Bookmark the permalink.